THE Egbema-Gbaramatu Communities Development Foundation, EGCDF, a community-based organisation (Regional Development Committee) under the Global Memorandum of Understanding, GMoU, pioneered by the Nigerian National Petroleum Corporation, NNPC/Cheveron Nigeria Limited, CNL, Joint Venture since 2005, is happy to announce the handing over of two cottage hospitals built by the Foundation in Oporoza and Tsekelewu to the Delta State Government to support effective primary healthcare delivery in the communities. The event took place on Tuesday and Wednesday, February 12 and 13. 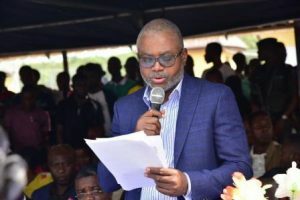 In his comments, Esimaje Brikinn, CNL’s general manager, Policy Government and Public Affairs, expressed the company’s delight over the completed projects. 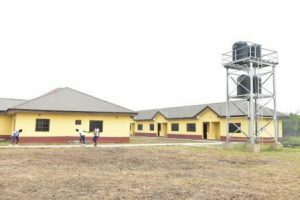 He noted that the takeover of the EGCDF’s cottage hospitals in Tsekelewu and Oporoza by the Delta State Government is a welcome development in the progression of the GMoU.“This is a validation of the sustainability plan of the GMoU. By this project, the GMoU has taken another huge step towards sustainability of projects,” he said. “To facilitate steady sustainable development in the communities, the GMoU+ focuses on sustainable economic empowerment programs, employment generation and alignment with the United Nation’s Sustainable Development Goals, SDGs,” he further explained. 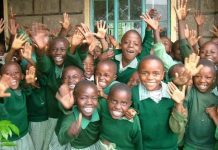 Brikinn added that Chevron Supports sustainable development by contributing through its work in protecting people and the environment and by investing in health, education and economic development. 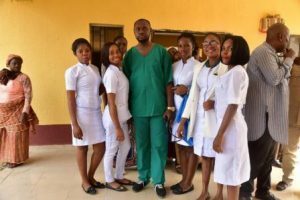 “Through the cottage hospitals, we are helping to achieve two of the UN SDGs which include Health and Wellness,” he added. 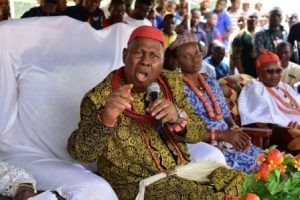 Senator Ifeanyi Okowa, Delta State governor, who was represented byTam Brisbe, chief of staff, expressed his delight with the Cottage Hospitals. He commended Chevron for funding the project and the EGCDF for executing the project excellently. He reiterated his administration’s commitment to ensure Universal Health Coverage in Delta State. 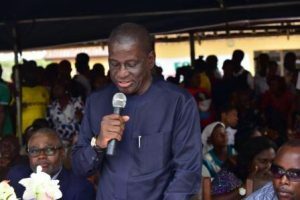 According to him, the Delta State Contributory Health Commission representing the Delta State Government in collaboration with the Ministry of Health, is partnering with the Bank of Industry and the Pharmaccess Foundation for an “Access to Finance” program to revitalise 25 defunct Healthcare facilities in rural communities leveraging on the Private Sector capacity and efficiency of service under the Bank of Industry SME program. 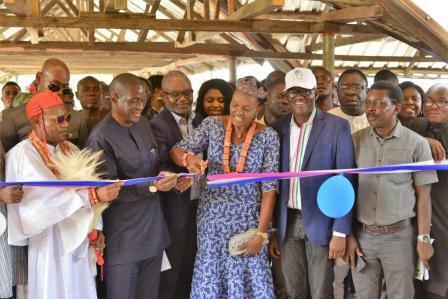 “These Cottage Hospitals in Tsekelewu and Oporoza have been adopted as part of the scheme to ensure Egbema and Gbaramatu Communities have qualitative healthcare delivery,” he said. It would be observed that CNL has invested over 5.56 billion Naira in EGCDF since its inception. Using part of this fund, the EGCDF has executed infrastructural and non- infrastructural projects like road and drainages, jetties, capacity building in Agricultural entrepreneurship and cottage hospitals. Other achievements of the EGCDF include scholarships (local and foreign in Master’s and PhD degrees) in addition to free eye treatment for community members. Sam Daibo, Area Manager, Policy, Government and Public Affairs, Field Operation, Chevron Nigeria Limited reading a speech at the event. Chief of Staff, Hon. Tam Brisbe, representing the Delta State Governor at the event.